A four pack of pre mixed power drink. 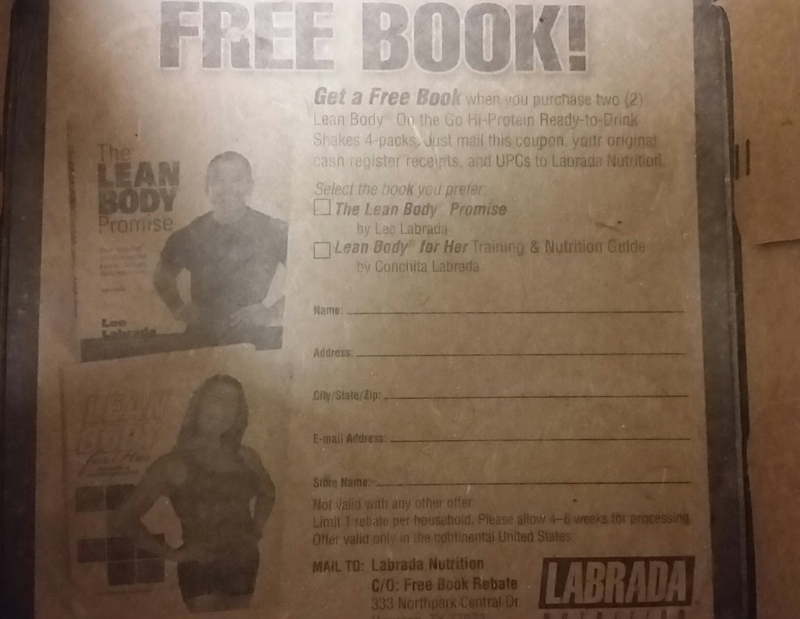 The Lean Body Book, from Labrada. 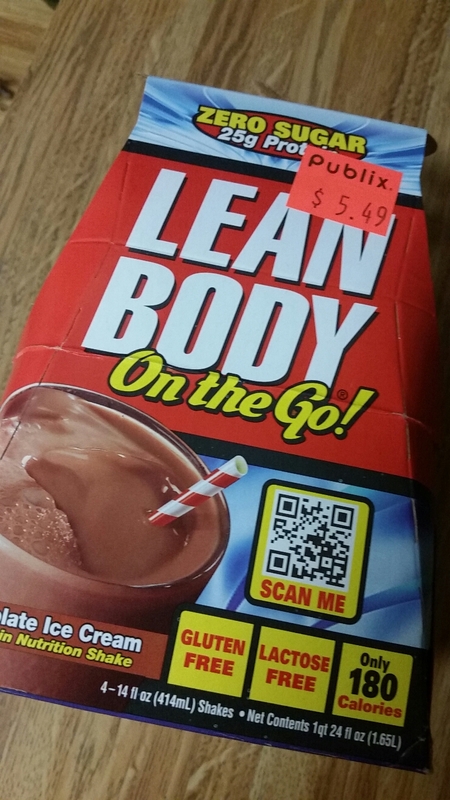 The positives on this drink were the flavor, protein and No Sugar. The negative might be the price, depending what you pay, ours was under $1.25 a bottle, which we think was a major bargain. Would definitely buy again, especially to try other flavors.